"I highly recommend this Mexican Restaurant. The service and prices are superb! The food is absolutely delicious. I love, love Mexican food and this is the best restaurant around for authentic Mexican food. Can't wait to go back. They have a wide selection of food, prices are very reasonable, and DELICIOUS!!" "Great Mexican restaurant in the village of Liverpool. Friendly, welcoming staff. Quality of food is excellent and portions are huge. This restaurant reminds me of my favorite restaurant down south run by a wonderful Mexican family. I haven't been able to find a restaurant like it since moving back home to upstate NY. Finally, I can have my Mexican food again!!" "I really enjoyed my visit to Rio Grande! Salsa was delicous! I got the fajita quesidilla which is my go to Mexican meal. It was one of the best I have ever had! Great service and prices! Will be back!" "We loved this place! This area NEEDED a good local Mexican restaurant and Rio Grande has come to the rescue! The tortilla chips and salsa were really fresh and delicious and the queso is great! I had the chicken fajita taco salad and would definitely recommend it. My husband had the lunch Rio Grande Burrito which came with a taquito and quesadilla and said it was great. We also split a Chile Relleno which was one of the best we've had! Very friendly servers with prompt service. The restaurant was also very clean! We will be back. Thanks, Rio Grande!" "This is about as authentic as you can get when it comes to Mexican food. I love it. When ordering on the phone there is a bit of a language barrier and they have got my wife's order wrong several times however she always says "I am so mad they got my order wrong but the food is so good that it is ok." So we continue to go." 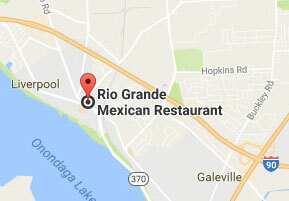 "Best Mexican food in all of upstate NY in my opinion that I have been able to find. Always friendly service and amazing chefs. I was even really impressed with their french fries which my daughter got off the kids menu. The best item on the menu is the Rio Grande Burrito, soooooo delicious." "I am a lover of Mexican food and I loved the whole experience. The service was very quick and the food was great with huge portions! I highly recommend." 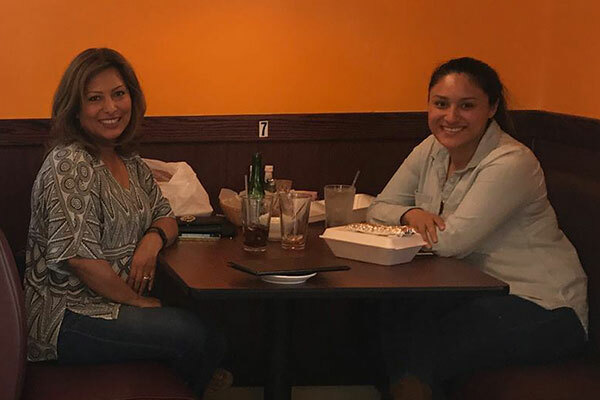 "We visited Rio Grande Restaurant curious to see how their Mexican food would be. We were pleasantly surprised.....seated right away, Wait staff was friendly, efficient. Our meals were delivered quickly and food was VERY good. We got combo platters which included beef taco's and cheese enchiladas.....hot, fresh, large portions and very tasty. The other platter was taco, enchilada and burrito..."
"Very good, pricing mid range.. .. Four stars for marginal cheese sauce.. Will go back"
"Highly recommend. It is very authentic with a lot of flavor. Nice ambiance. Reasonable prices. Good service. Fast." "Authentic with fast and friendly service. Definitely the best food in the Village of Liverpool and the best Mexican food around!" "Great food, traditional style cooking and home made ingredients, excellent service, and reasonable prices. Great taqueria style mexican restaurant." "The dry spell is over, the drought has ended, and the sadness is gone. We now have another delicious Mexican restaurant in Liverpool again! When Juanita's closed, I thought my heart was going to shatter and my stomach would forever crave what could not be. However, Rio Grande came riding in on a white stallion and delivered to us amazing food to feast one. I went very basic when I went here the other day. I had a steak quesadilla and a chicken quesadilla. I also ordered a side of queso. Every single bite was a journey to culinary heaven! The queso was made just right, the meats were seasoned and juicy, and the shell was cooked just right. The staff is incredibly friendly and the prices cant be beat. I can tell you right now that you will not disappointed!" "This is one of the BEST Mexican restaurants in the Syracuse area. The food is delicious and fresh, with an extensive menu. It is always full and sometimes difficult to find a parking spot. The owners are friendly and gracious, and the waitresses are efficient. The best part is the price-very reasonable." "We finally made it here and it didn't disappoint. It was a Tuesday night. We were greeted when we arrived and seated immediately. The service was friendly and efficient. The menu, extensive and it took us awhile to decide. Ice water with fresh lemon, and salsa and chips were brought to the table as we were trying to make our decisions. Our meals were delicious and delivered to our table in a timely manner. Looking forward to returning often!" "I was thrilled to see a Mexican restaurant in Liverpool as my family lives there. When I come to visit, I can get a nice "Mexican" fix from this place! The menu is enormous! And, they have some creative selections. I chose a dish with chicken breast and tilapia, pineapple, peppers, onions, tomatoes, rice, beans salad. The portion was enough to feed 3 people! And, it was delicious! Very fresh tasting. I did take out because they did not have their liquor license yet and, because I was on vacation, I wanted to enjoy some wine with my meal. However, my family has been there and they say service is excellent. My order was prepared exactly as specified (I ordered 3 meals; one for me and 2 for others) and staff was very helpful/friendly." "Tried this place for the first time tonight. Absolutely delicious. Had tacos a la diabla, would recommend! Friendly and speedy service, too." "Hands down, the best authentic Mexican restaurant in CNY! There is not one thing bad that I can say about this place. My partner and I visited this place on a Thursday and had nothing but awesome food and service. First off, the staff was super friendly. The hostess and our waiter were wonderful. Offered suggestions on different items and really went out of their way to make our meal wonderful. The menu is large with lots to choose from. The prices were great! The food is wow! I had the Rio Grande burrito which was a 10 out of 10. The portion was very large! My partner had the shrimp fajitas and said his were wonderful as well. Cannot wait to go back and try the other items on the menu!" "I was apprehensive about visiting this restaurant, because most places that claim to make and serve Mexican dishes are equal to Taco Bell. This restaurant was a pleasant experience from the time we sat down, til the time we received our meals. The food is presented well and is exceptional in freshness and flavor. The desserts are mouth watering! Will be going back soon! Thank you, finally a great Mexican restaurant in Livepool!" "Great food and atmosphere. Any of the pork is amazing, as is everything else. Large margaritas for the price. Love their selection of Jarritos." "Great food, fast service. Corn tacos available for gluten-sensitive options. The La Diabla (chorizo and steak) is the best taco I've ever had." "As a party of 3 we just happened upon Rio Grande and decided to give it a try. We were all really pleased with our selections, the chicken enchilada was one of the best I've ever had. The complimentary chips and salsa were outstanding. Service was very attentive. The portions are huge. Most dinners were around $10 - $12. Will definitely visit again soon!" "Finally...authentic, delicious, fresh Mexican food. Not a fast food! This is a sit down restaurant. The restaurant is clean and the staff is very friendly and engaging. They start off with a large basket of chips and salsa. The staff is attentive and always checking in on the patrons. I can't say enough about the staff as they work hard to keep the service rolling. The restaurant is small, but like most restaurants, you may have a short wait for a seat. Be patient, it's a new place and they are dedicated to their patrons. Amazing food and great service."